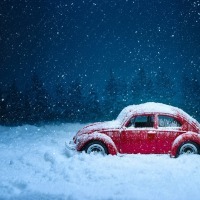 Home » Auto Glass Jamaica » Understanding Why Do Car Batteries Go Dead in the winter? Starting an engine during cold season can take up to twice as much as needed under normal conditions. This extreme cold often fingered as the culprit of dead batteries for a number of reasons and we gathered a few that might aid you to understand why car batteries go dead in the winter. We know for a fact that oil gets thickens during the cold weather or any form of liquid will become solid if it is in the freezer. Thicken oil will cause your battery dead as it will make harder for the engine to spin and warm up. A battery can drain even faster during a freezing season when there are more demands for extra usage. Like for instance headlights and windshield wipers are used more often during cold weather as a result, your car battery becomes weak and might not stay longer than its lifespan expected. The battery typically with full chemicals that produced electrons. When it is cold. the chemical reaction will more slowly thus the battery will form fewer electrons which makes the starter less efficient. The fact that there is a greater chance that the battery will fail in winter, everyone must be ready before hitting the road so here are some of the warning signs that your car battery might be at risk. The typical lifespan of your car battery is three to five years but for various internal and environmental conditions impact its long-term health. When your car demands more than battery replacement, give us a call at (718) 297-9797) we will happy to assist you.